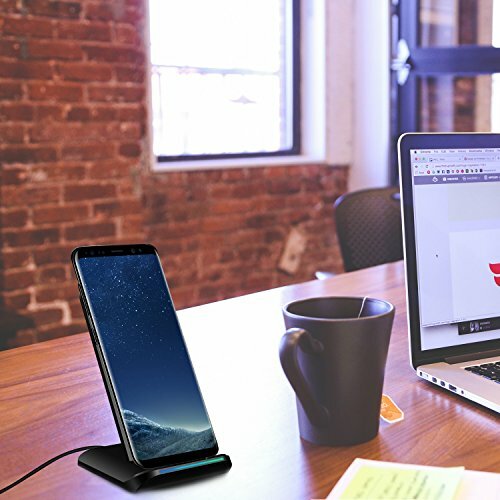 ✓ ENJOY WIDE COMPATIBILITY: Being extremely compatible, this fast wireless charger is here to accommodate even your most demanding needs. 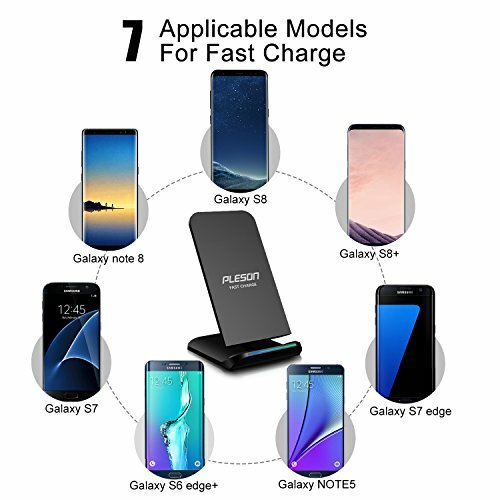 The Fast Charge Mode is compatible only with Samsung Galaxy Note8, S8, S8+/S8 Plus, Note 5, Galaxy S6 Edge Plus, Galaxy S7, and Galaxy S7 Edge. 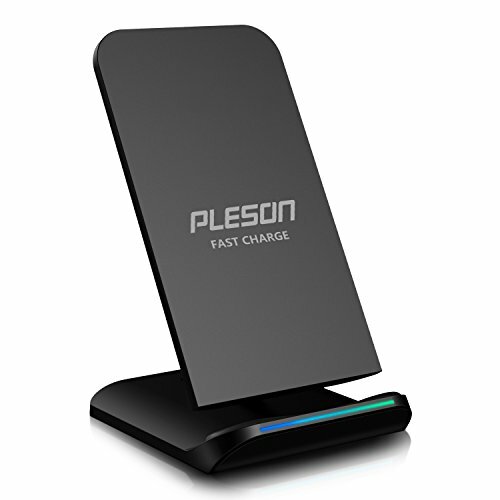 Other Qi-enabled devices will charge at standard wireless charging speeds. 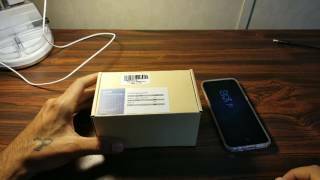 Some devices need extra receiver (Not Included): Samsung Note 4, Note 3, S5, S4, iPhone, LG G3, G4 ect. 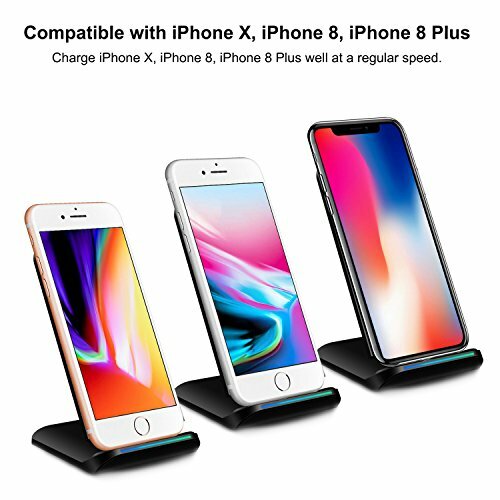 ✓ CHOOSE CHARGING STYLE: One of the greatest things about this wireless charger stand, besides the compact design and anti-slip mat, is its multifunctional role. 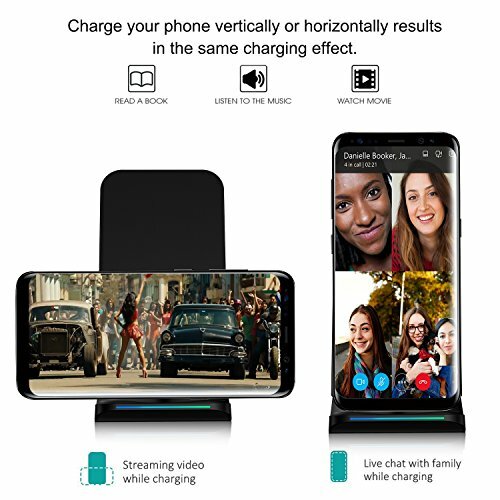 Charge your mobile either horizontally or vertically. 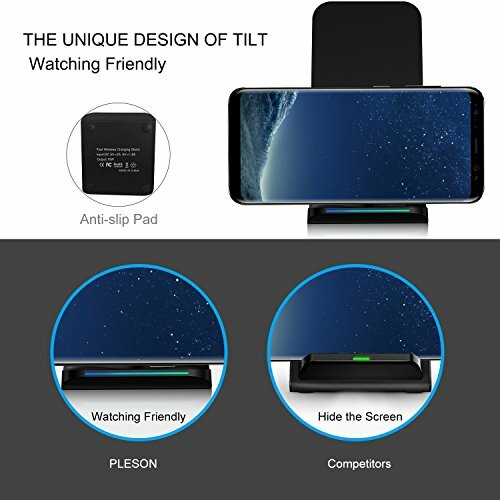 With the built-in over-voltage, under-voltage, temperature control, surge protection and short-circuit prevention features, we ensure ultimate safety for your smartphone. 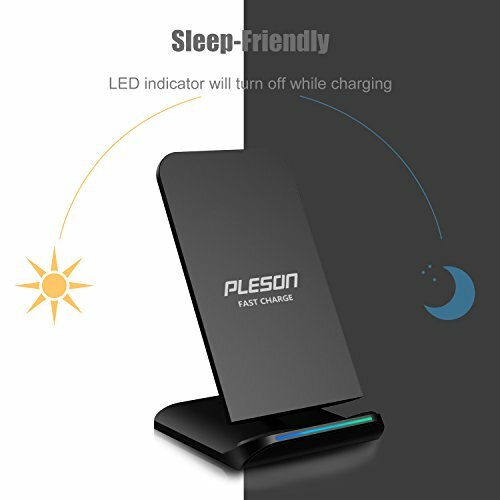 ✓ NO WIRES, NO BEEPS, NO LIGHTS: Sleep-friendly, Forget about all tangled up wires, beeping sounds and annoying lights and invest in this modern mobile phone charger! Its LED indicator will automatically shut off after 10 seconds. Sleep safe and sound from now on. 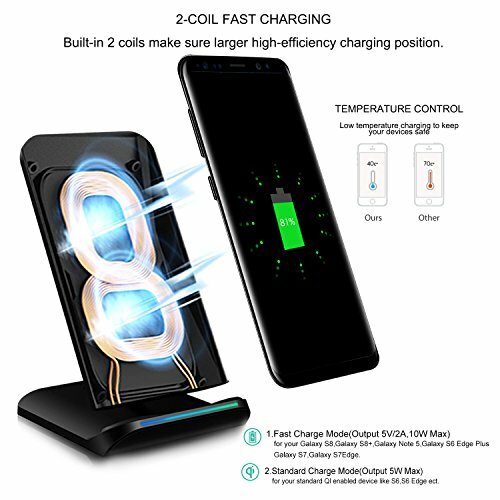 ✓ GET THIS WIRELESS CHARGER RISK FREE: Since your satisfaction is our top priority, this wireless standing charger is backed by our 60-day money back guarantee policy! By using QC 2.0 adapter (NOT INCLUDED) or original adapters and cables, enables fast charging on the spot. 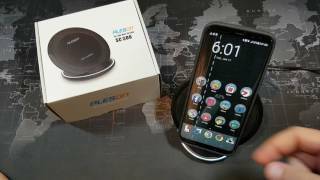 The best place to compare the latest tech for wireless charging.